Architectural Technologist Edward Phillips has gained the qualification of Code for Sustainable Homes Licensed Assessor. The practice will now be able to offer clients Code for Sustainable Homes Assessments where required. 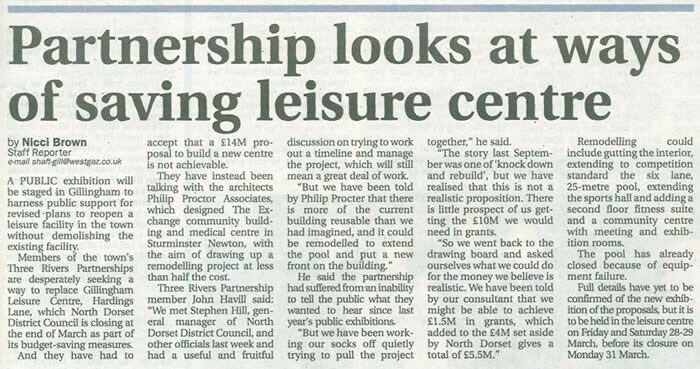 With the Gillingham Leisure Centre closed it's doors at the end of March 2008, Philip Proctor Associates is assisting the Three Rivers Partnership of Gillingham, Dorset, UK, to investigate the refurbishment of the existing facilities and by also providing additional facilities, to create a new Gillingham Centre which will be the pride of the community. 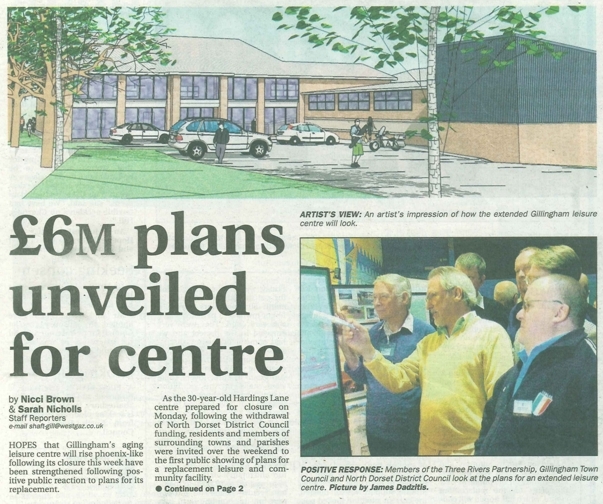 The preliminary facilities include an upgrade to the sports hall, lengthening the swimming pool to a competition 25meter pool, brand new change rooms and fitness suite, entrance and cafe. The skate park will be altered and upgraded, the parking area extended, and the crowning glory will be a much needed community multi purpose hall with meeting rooms.